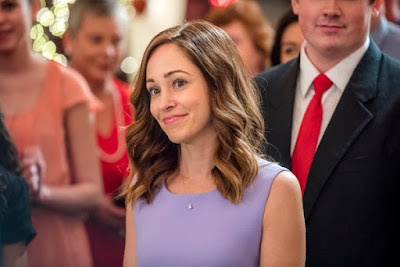 Hallmark Original Movie Valentine Ever After premieres Saturday, February 13 at 8 p.m. ET/PT on Hallmark Channel. The film stars Autumn Reeser (The Whispers. ), Eric Johnson (Rookie Blue) and Vanessa Matsui (Lost Girl). Big city girls Julia (Autumn Reeser) and Sydney (Matsui) take a trip to a dude ranch in Wyoming for a fun weekend getaway. But when a brawl ensues in the local bar one night, the girls are sentenced to perform community service for disorderly conduct and are forced to stay in town. In addition to doing odds and ends around town, the girls discover a charitable cause and help create a Valentine's Day party for the charity. In the process, Julia realizes she has a knack for marketing and considers changing her career plan, and falls for a charming cowboy (Johnson) in the process. Valentine Ever After was directed by Don McBrearty. The cast of Valentine Ever After includes Jenn Robertson and Ron Lea.